Machine Translation Systems are as complex as they are numerous. With so many competing technologies, how can you be sure any one solution will set your business up for success? 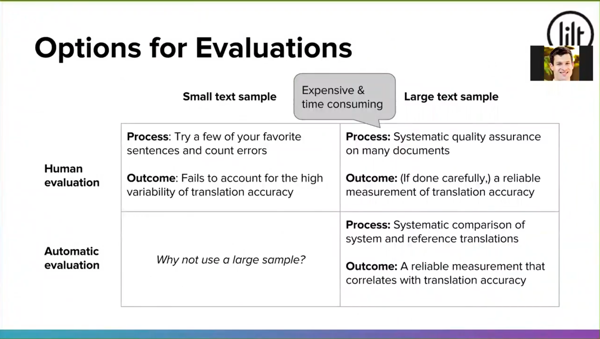 In this comprehensive webinar, Lilt CEO Spence Green covers the questions you should ask, the evaluative measures available, and how specifically machine translation ought to augment human translation workflows. Just fill out the form to receive your unique access link.